Our next adventure with Margaret May is thanks again to Taxi Driver Extraordinaire, JohnFreddy, who had the idea to take us to nearby Santa Elena and tell us about the silleteros. The best translation we can come up with for silletero is “chairman” but it’s not the chairman that we English speakers think of. This would be more like “chair carrying man” and even then that doesn’t quite work. Here’s the gist. Isolated from the rest of the country by a geography, which includes steep slopes with thick vegetation, the Antioqueños developed a unique culture and colloquial language referred to as Paisa. One of the most unique cultural elements of Medellin’s cultural history developed out of simplicity and necessity; the silleta. 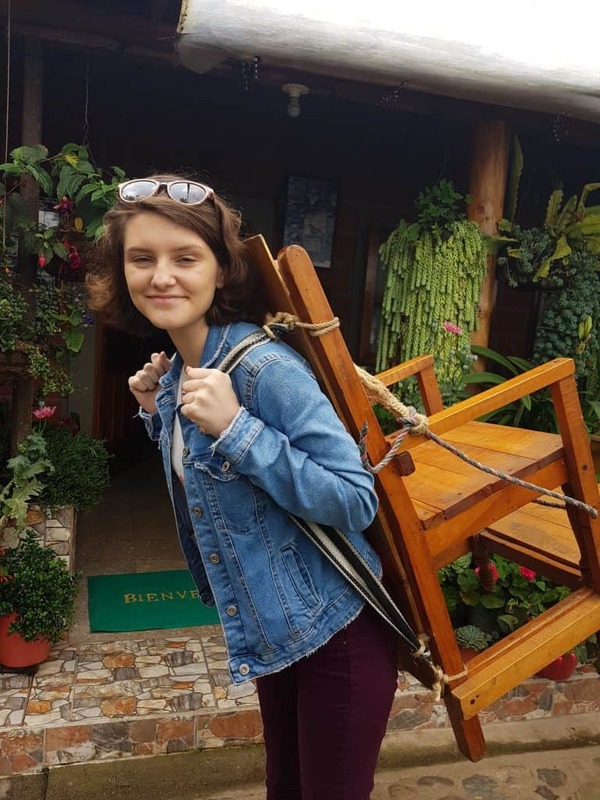 A silleta is, quite literally, a silla or chair, which was and is carried on the back of a sillatero. It was used to transport people or altered slightly to transport goods or produce. 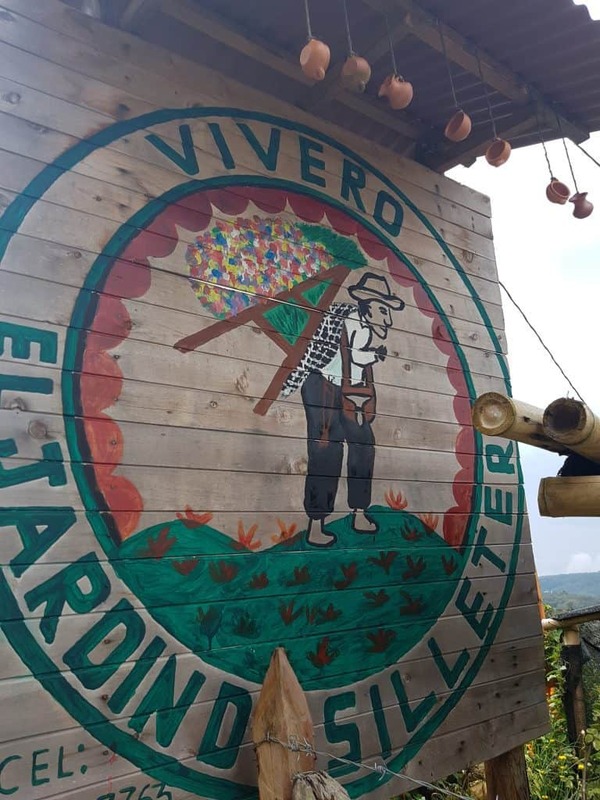 The silleta and silletero is still celebrated in Medellin today. Among those celebrations of culture is La Feria de Los Flores or the Flower Fair. 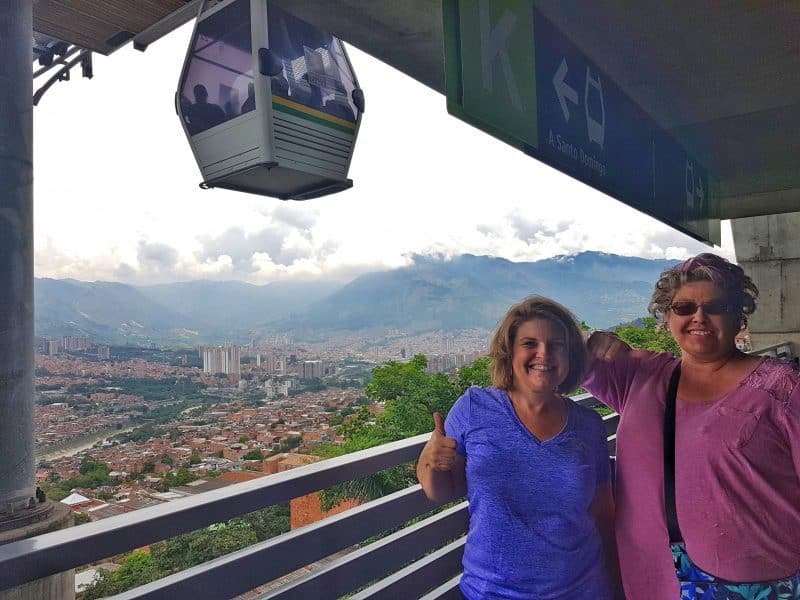 A major influx of tourism descends upon Medellin during the first week of August every year to help celebrate this event. Besides the celebration of the cultural history behind the silleta and sillateros, musical and artistic events take place all over Medellin for a week to ten days. A horse parade and an auto parade are major draws, which all lead up to the culminating event; the Parade of Sillateros. 1. Why can’t we decide on a spelling of silletero? 2. How cool will it be to see the flower parade in August!? You know there will be a blog post about that! In order to learn more about the silleteros we were not content to simply to go Santa Elena. Nooo, we have to go ALL IN. JohnFreddy knows a guy who knows a guy who has a cousin (that’s how it works here) and we were invited to their house to learn about the process from the wife of a very well known and honored silletero. 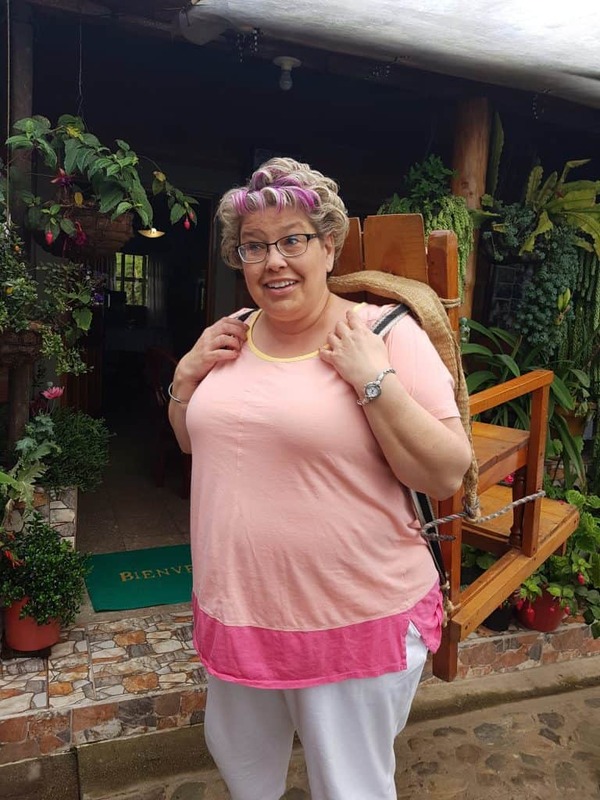 They greeted us in traditional clothing from the time of the silleteros and told us all about the process of carrying the chair, growing the flowers and all the awards the husband has earned over the years. It was a fascinating story and now that I know it I notice silleteros everywhere as an icon of the city. 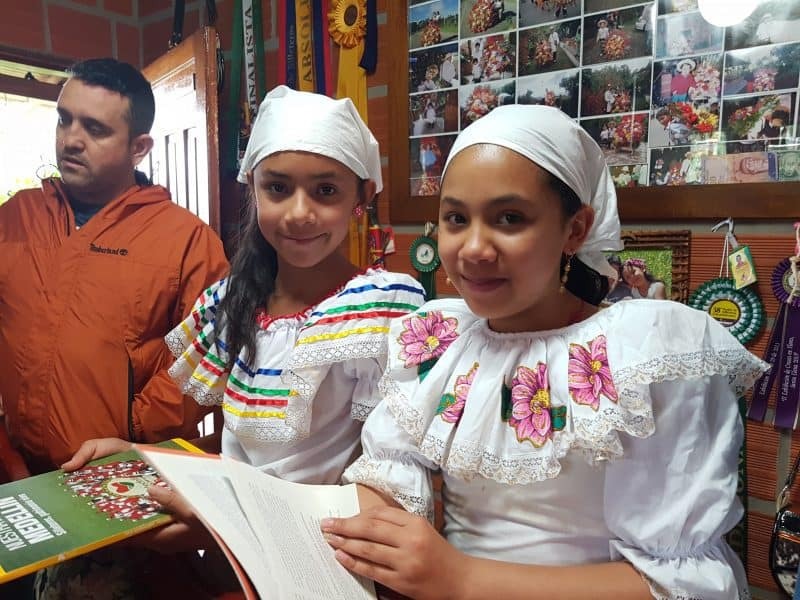 These two niñas were on hand to show us photos and tell us about the traditional dresses they were wearing. That’s JohnFreddy in the background, also learning! 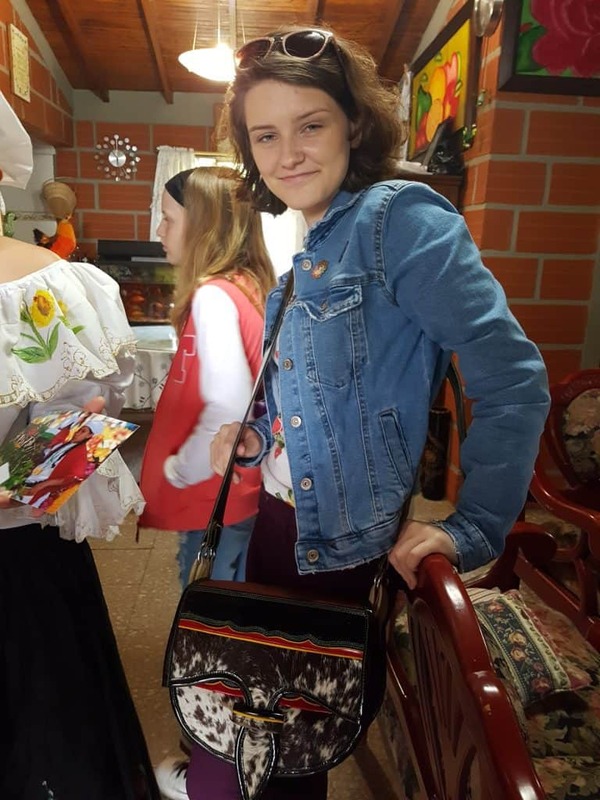 The Shermaniñas went with us on this excursion and Haley happened to be wearing a pin – one of the few she’s found in Medellin. We thought it was just a pin with some flowers but upon closer inspection it’s a silletero! This was a very cool discovery and now we feel like we are in on a big secret! We can’t wait til August to see the fruits (flowers!) of their labor. We will be cheering loudly when we happen to see the man whose house we visited. It will be embarrassing to the niñas but it will be epic. Here is Margaret trying on the chair. She says she prefers a wheelie suitcase for her transporting needs. Haley and the chair. She says it needs a table for her laptop and then it would be perfect. A carriel is a small leather satchel from Colombia. They are similar in appearance to a saddlebag but worn over the shoulder, usually by men. Carrieles were traditionally made of rawhide or nutria fur and are typical of the Antioquia region of Colombia. 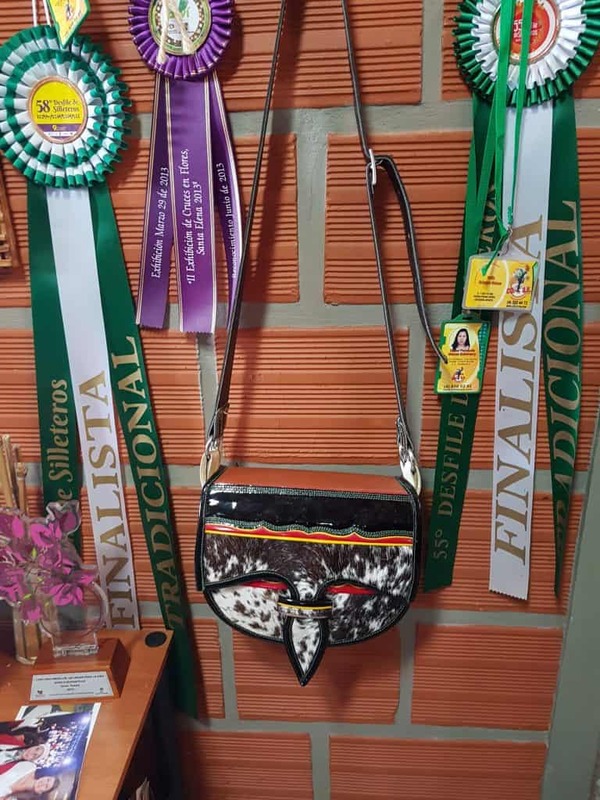 The bag is associated with paisa culture and commerce and is a beloved symbol of the industriousness and humble honesty of antioqueños (people from Antioquia, Colombia). The carriel is part of folkloric dress of the region and is also used by modern businessmen throughout the country. It is said that the word carriel comes from the English “carry-all”, but derivation from the French cartier (handbag) is equally likely. Haley is modeling the carriel. And if you look closely above her pocket, you’ll see the flower pin that we now know is a silletero! The inside of their house was set up a bit like a museum with lots of awards for his flowers. The carriel hung prominently. Before we left they asked us to sign the guest book. Haley needed a place to sit so…. After our morning learning about the silleteros and carriel, we headed across the street to a lovely hotel and had a full lunch. Not content to end our day there, we decided that since we were already somewhat up in the mountains, we would visit Parque Arvi. The niñas and I had been once before with Mary, but we had accessed it from the cable car that departed from the city. This time we went to the park via taxi and the road, which was a much better way to do it with someone who is deathly afraid of heights. 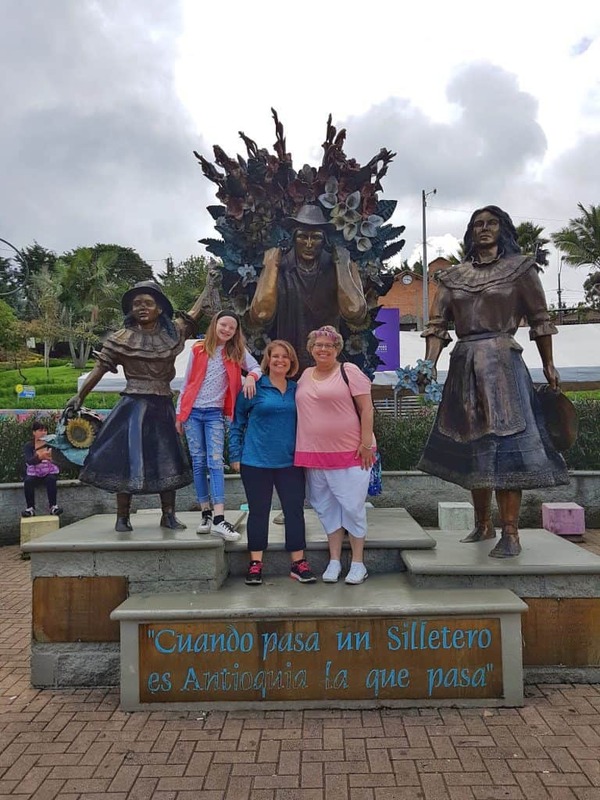 We explored Parque Arvi, we did a little shopping at the small market and tried a few treats before heading back home via the town of Santa Elena. We stopped for a few last photos before we declared ourselves full of food and knowledge and done for the day. Ms. May declared it an excellent day. The Shermanos agreed. 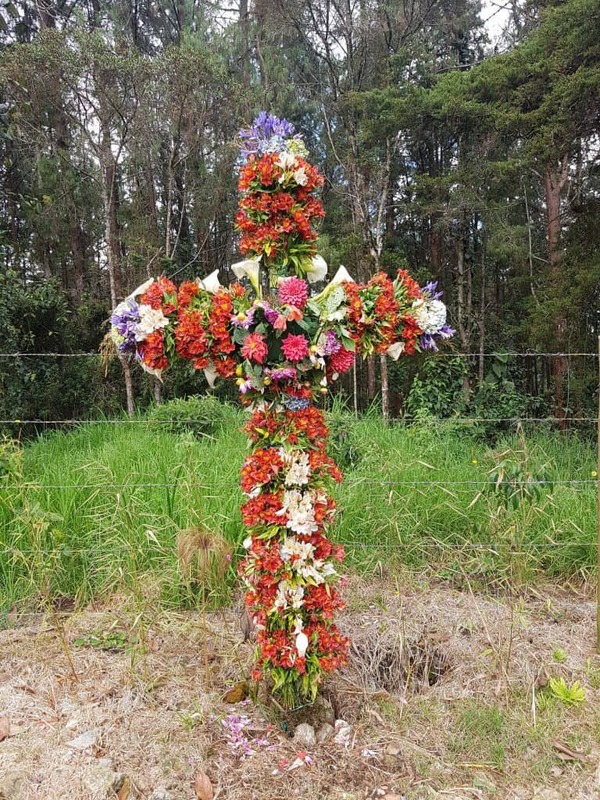 Lovely road-side crosses covered in flowers between Santa Elena and Parque Arvi. This is a statue of a silletero in the town square of Santa Elena. By this time Haley was tired so she was napping in the taxi. 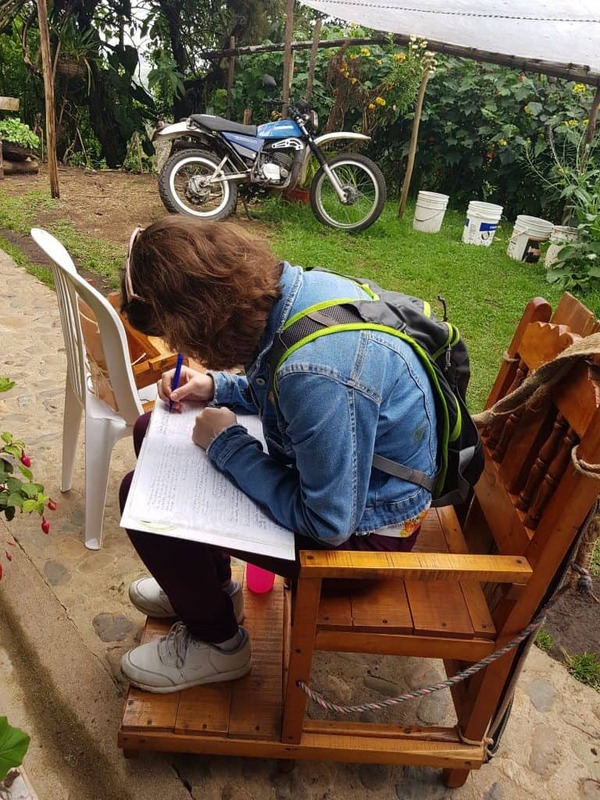 Another flower farmer / silletero. Now I start to notice the images of silleteros everywhere! 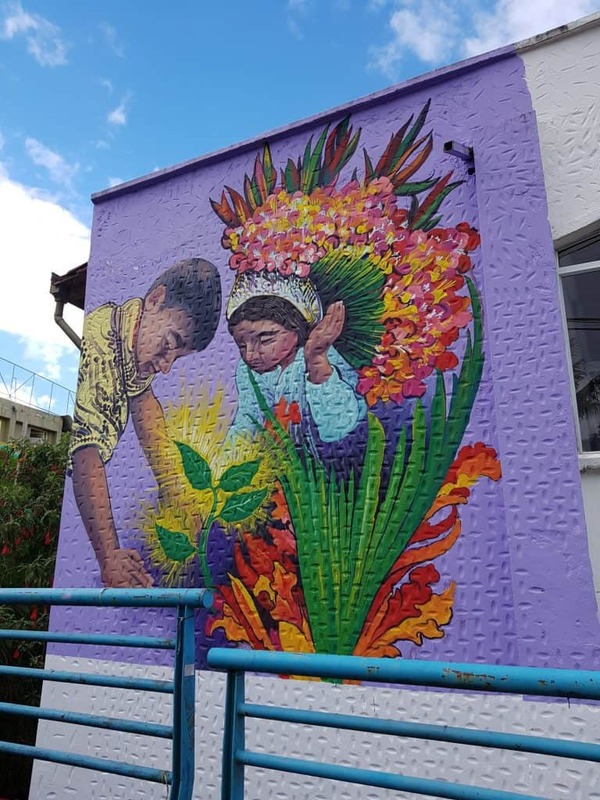 Also in the town square of Santa Elena, a lovely mural of a young girl siletero. Or would that be sillaterita? The next day we felt like Margaret needed to see a little more of the town so we headed to the metro and went exploring. Our goal was to go up the cable car as far as Margaret would tolerate. From the cable car (as if you’re going to Parque Arvi) you can see so many different parts of the city that you can’t see from the car. Margaret did a great job despite being very uncomfortable. We were only able to go up to the first station but it was enough for her to see some other parts of the city. 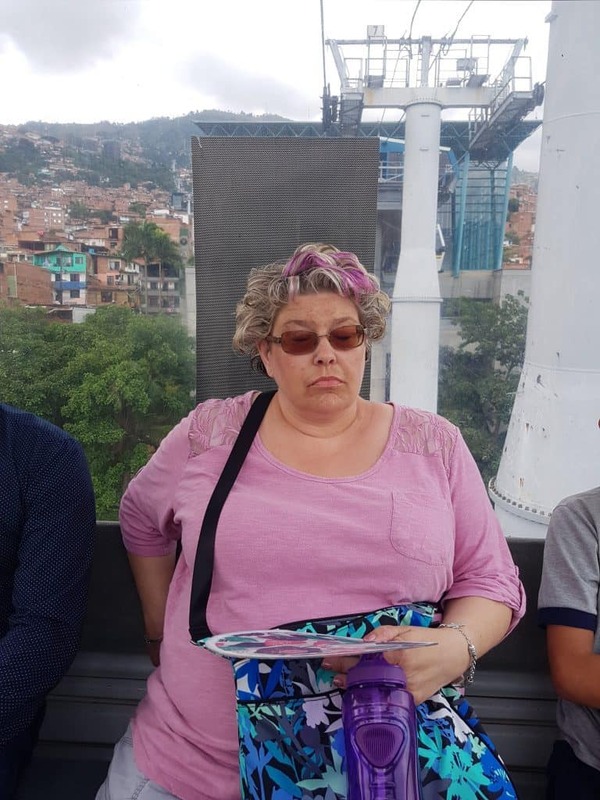 Mar was not happy to be testing the limits of her fear of heights, but she opened her eyes a few times to get a glimpse of the city. I declared it a success but Mar has mixed emotions. But she did it! 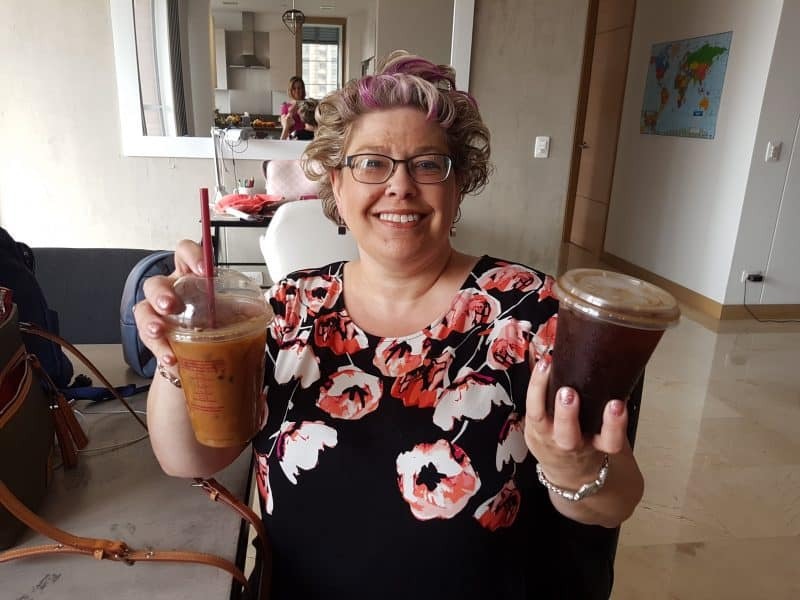 With just one more full day of doing some last minutes errands and re-visiting our favorite restaurant, Margaret’s visit to Medellin came to an end. Normal life in Oregon awaited her, including her children and a job. But we knew that Worldschooling Visit #4 was just one more chapter in what will hopefully be a long book of our Margaret May Moments. Being away from family is one of the hardest parts of our journey, but visitors ease the pain. Until next time, Mar! Next Article Where to, Shermanos?